Herbert George Wells (1866 - 1946) was a prolific English writer best known for his outstanding science fiction stories and novels. He was nominated for the Nobel Prize in Literature four times. 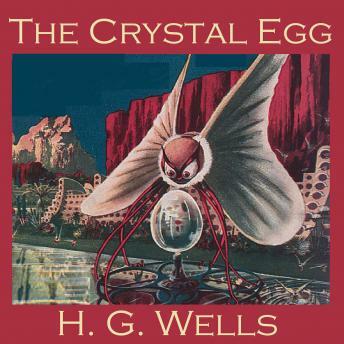 "The Crystal Egg" is a science fiction short story about an antiquarian dealer, Mr. Cave, who discovers that a crystal egg in his shop has strange properties. In certain light conditions it functions as a window on the planet Mars and he is able to observe the Martians and their bizarre cities and machines.